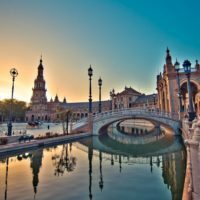 Experience the magic of Spain and its fabulously diverse cities and culture on this wonderful 13 night / 14 day Grand Tour of Spain. Your holiday includes the vibrant Catalan capital, Barcelona, famous for stunning architecture and a delightful gastronomic heritage. 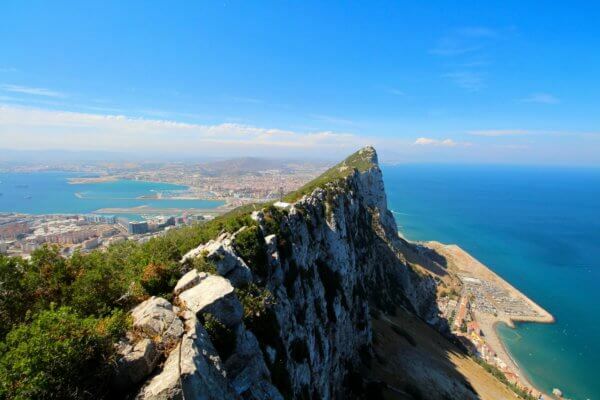 Revel in the winding lanes of the Gothic quarter, stroll along the sandy beaches and swim in the sparkling Mediterranean. 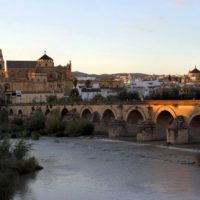 Then head south to the warmer climes of Andalucia to visit medieval Cordoba, with its magnificent Mezquita and charming bodegas, before you continue to the dramatic setting of Granada for ‘free tapas’ amidst the stunning backdrop of the Alhambra and the Sierra Nevada. 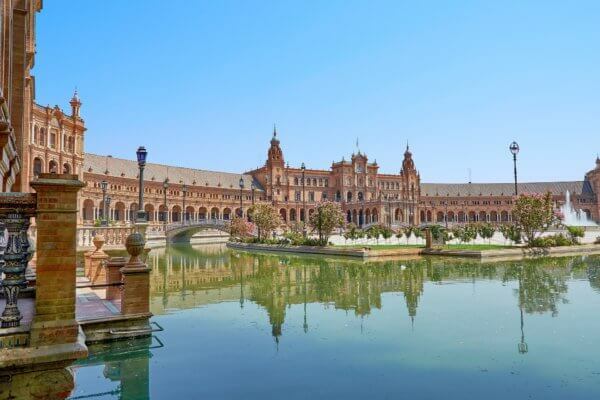 Your journey takes you to sunny Seville, capital of flamenco and home to the heavenly Alcazar, captivating cathedral and beautiful bell tower, the Giralda. 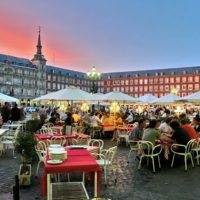 Your final destination in Spain is the fascinating Spanish capital, Madrid, with one of the finest art collections, a growing reputation for culinary excellence and an infectious energy and love of life. 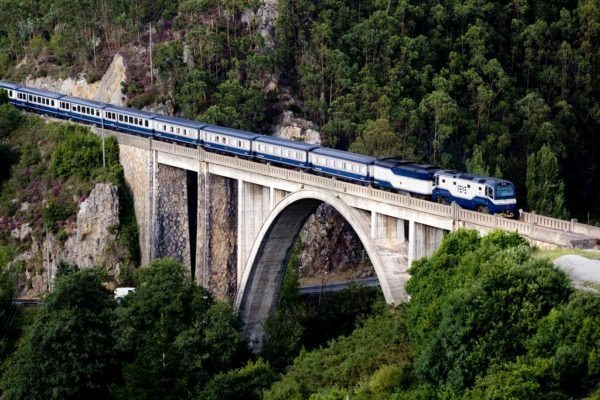 13 night / 14 day holiday by First Class rail on daytime trains, including 3 nights in Barcelona and Madrid, 2 nights in Cordoba, Granada and Seville, and 1 night in Avignon plus private taxi transfers in Paris from £1,695 per person (based on 2 people travelling together). Your holiday begins as you enter to the stunningly restored St. Pancras International station. Take your time to appreciate the splendour of the magnificent glass roof, then sit back, relax and watch the countryside swish past as you travel by Eurostar to Paris at speeds of up to 186mph. Enjoy the light meal and drinks served on board in Standard Premier service (Eurostar’s 1st class for leisure travellers). On arrival in Paris your private taxi transfer will take you across Paris to the Gare de Lyon to continue your journey by TGV through France and into Spain. You travel through the changing French landscape at high speed on this direct train to the vibrant city of Barcelona. You arrive in time for dinner or tapas before you settle into your hotel for 3 nights at the highly rated Grand Hotel Torre Catalunya (4 star) ideally close next to Barcelona Sants train station, within a short subway ride from the centre of the city. You have two full days to explore this magical city and visit the most famous of its sights. 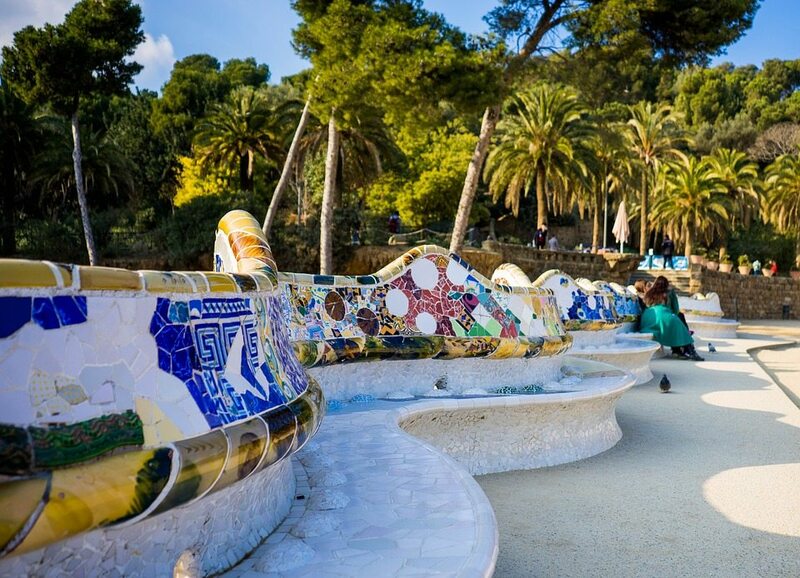 Make sure you allow plenty of time to soak up all aspects of this remarkable city, from the lively Ramblas to the smart shops of Passeig de Gracia. Perhaps head towards the cathedral and older parts of town with wonderful examples of Gaudi architecture or visit one of the city’s museums. 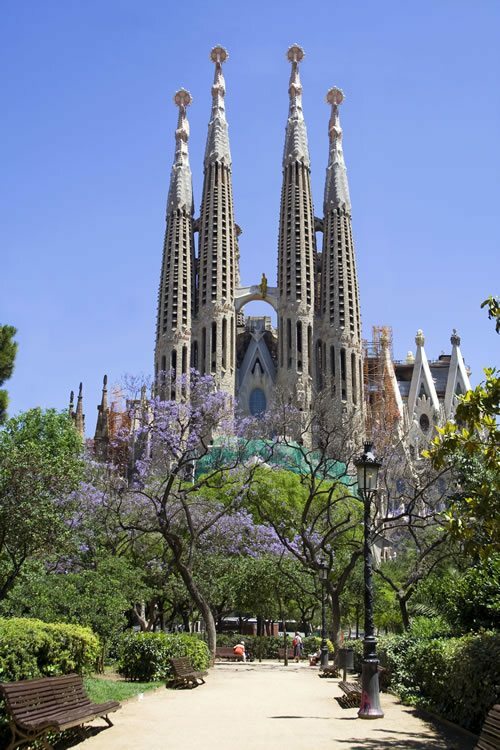 Don’t miss the Sagrada Familia Cathedral, Antoni Gaudi’s unfinished masterpiece, or the Picasso Museum which houses one of the most extensive collections of the 20th century painter’s artworks. 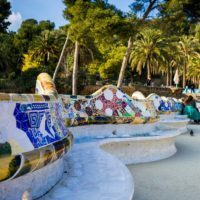 During your stay perhaps head to Plaça de Sant Josep Oriol where the street musicians, fortune tellers and painters will entertain visitors, who are being tempted by the designer boutiques and handicraft shops. There are plenty of options for dinner from wonderful gastronomic restaurants to cosy bistros and tapas bars. This morning after breakfast head back to Barcelona Sants station for the start of your First Class journey aboard the high-speed service south-west to Cordoba. On arrival in Cordoba make your own way to your hotel for the next 2 nights, the comfortable, centrally-located Las Casas de la Juderia (4 star). This afternoon you might like to visit the palace of the Christian Kings, the Alcazar, with its luxuriant gardens of courtyards, fountains and water terraces, combined with colourful flowers, palm trees and orange groves. 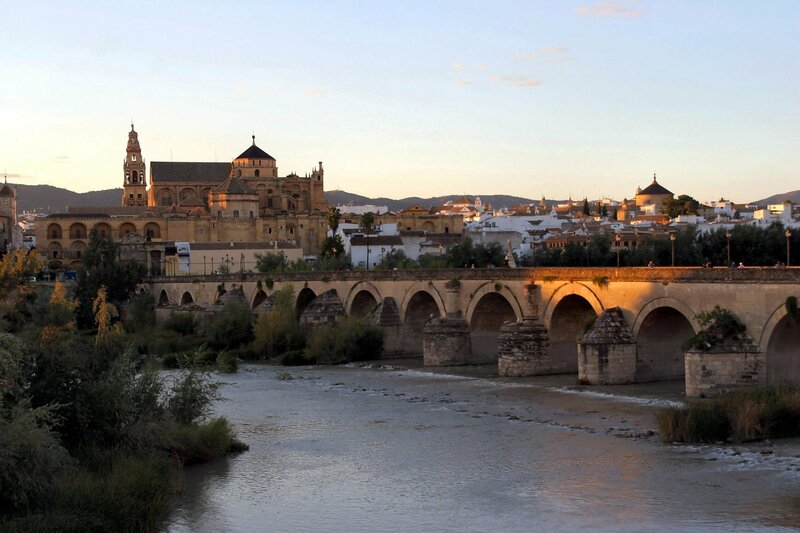 You have a full day to explore the compact city of Cordoba. Among many highlights is the world’s 3rd largest mosque, the Mezquita, a mystical, beautiful building, with simply stunning interiors, including a ‘forest’ of more than eight hundred red and white striped columns and arches.Take time to explore Cordoba’s countless plazas and courtyards hidden along narrow streets. This morning you return to the station to take the regional train (Standard Class) to the Moorish-influenced city of Granada where you arrive in the afternoon in time for a short siesta. Make your own way to your hotel for the next 2 nights, the stylish and highly-rated Suites Gran Via 44 (4 star). This evening why not head to one of Granada’s wonderful tapas bars and delight in the intoxicating atmosphere and taste some of the flavours of Spain? 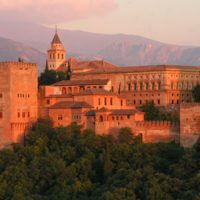 Or you may wish to take an early evening stroll through the meandering streets of the Albaycin, to see the view of the Alhambra Palace, which is most wonderful at sunset, when it takes on a warm, slightly reddish tone. Night-time views are also impressive, with the Alhambra completely illuminated. Musicians and vendors add to the liveliness of the scene. You have a full day in Granada so why not start early so you can enjoy the spectacular view of the sun coming up over the Alhambra Palace? If you set off early you can make the most of your time to visit the stunning Moorish palace and its luscious gardens. 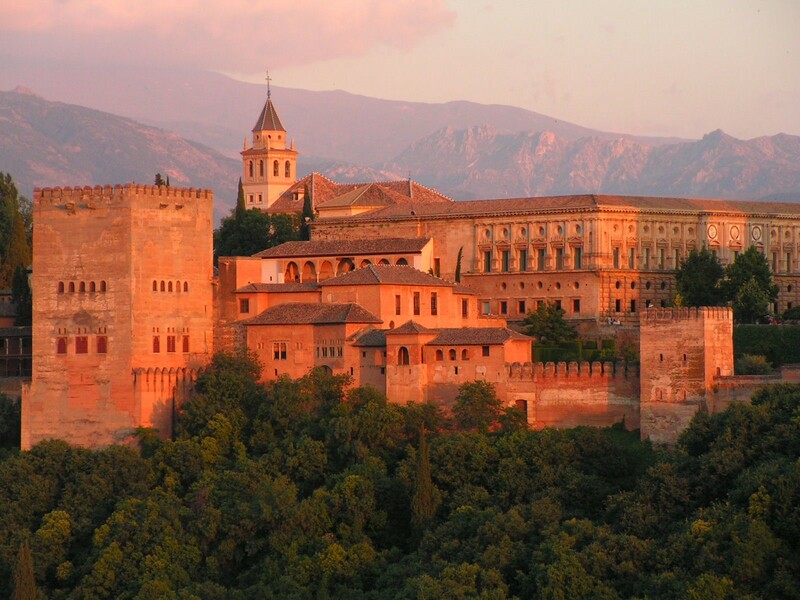 Perhaps one of the most photographed sites in Andalucia, the Alhambra is a UNESCO World Heritage Site. You will also have time to explore some of the interesting quarters of Granada today or you may even want to take a trip to visit some of the beautiful pueblos blancos (white villages) in the surrounding Alpujarras area. Today after breakfast make your way back to Granada station. Here you join the regional train (Standard Class) for the journey westwards to Seville. On arrival in Seville make your own way to your hotel for the next 2 nights, the comfortable and centrally located Hotel Becquer (4 star). 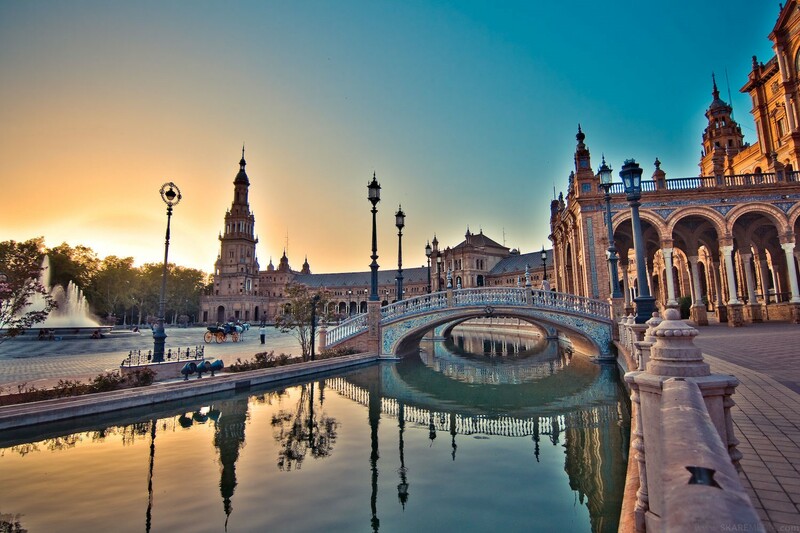 This afternoon you have time to start to explore the delightful city of Seville. Why not climb the Giralda (bell tower) and gaze down on the buzzing city beneath, taking in the barrios and the Seville of Bizet’s Carmen across the River Guadalquivir? Then stroll through the characterful courtyards and narrow alleys of the ancient Jewish quarter of Santa Cruz before rounding off your evening at one of Seville’s wonderful tapas bars. You have a full day to discover the wonders of Seville. Perhaps start with the elaborate Arabic designs and outrageous rococo ornamentation that make up the Mudejár mélange of Seville’s Royal Palace, or Alcázar, and be sure to visit the delightful gardens too. Then head for the awe-inspiring gothic cathedral which took a whole century to build. This morning head back to Seville’s station for the high-speed journey back to Madrid. When you arrive in Madrid make your own way back to your hotel for the next 3 nights, the elegant Hotel Liabeny (4 star), ideally situated in the heart of the Spanish capital. 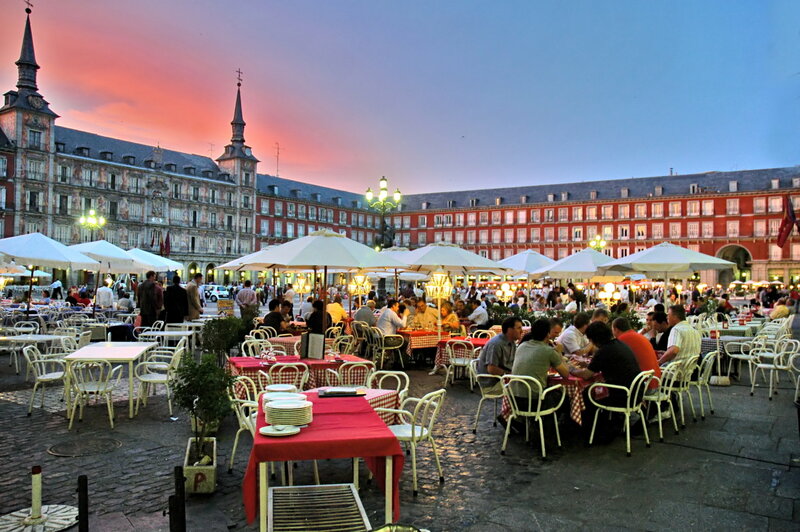 This evening you may wish to sample one of the Madrid’s fine restaurants. You have two full days in Madrid to explore the wealth of experiences on offer. 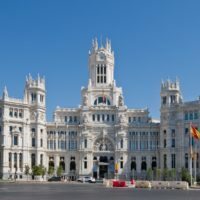 You might like to visit Madrid’s golden triangle of art: the Prado Museum (best for El Greco), the more intimate Reina Sofía Museum and Thyssen-Bornemisza Museum (for 18th-20th century art), all located within striking distance of each other on the Paseo del Arte. Perhaps head down the Carrera de San Jerónimo, past the Parliament and onto Sol, in the heart of the city. From here why not take Calle Mayor to the Plaza Mayor and the surrounding wonders of the old Madrid of the Asturias, capped by the opulent Royal Palace? This morning after a leisurely breakfast you have time to further explore Madrid. Then in the early afternoon make your way back to Madrid Atocha station. Here you board the high-speed AVE service for the journey northwest to Avignon. On arrival at Avignon TGV station make your own way to your overnight hotel, the comfortable and ideally-located Hotel de l’Horloge (4 star). You have a morning in Avignon to take the opportunity to visit the fascinating walled old town of Avignon and stroll among the maze of medieval streets and tree-lined squares. No visit to Avignon would be complete without seeing the Palais des Papes (payable locally) and the Pont St. Bénezet (famous from the children’s song). From your hotel next to the Place de l’Horloge you can watch the world go by from this attractive central square or visit the impressive Hôtel de Ville and Opera House, decorated with statues of Corneille and Molière. Then in the early afternoon as you return to the TGV station and board your TGV for Lille Europe it is time to say farewell to Avignon and Provence. Sit back and relax as your high-speed train whisks you virtually the entire length of France from south to north. On arrival in Lille Europe you change trains and board the Eurostar service. Take time to reflect on the magnificent sights, sounds and tastes you have enjoyed on your holiday as you sit back and relax with a light meal and drinks before your arrival into London St. Pancras International for the final leg of your journey home. 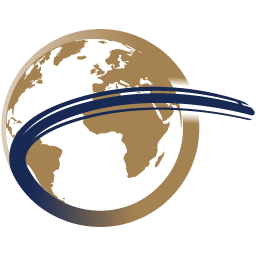 First Class rail travel from Paris to Barcelona, Barcelona to Cordoba, Cordoba to Granada, Granada to Seville, Seville to Madrid, Madrid to Avignon and Avignon to Lille. 13 nights' accommodation in 4 star hotels with breakfast each day, including 3 nights in Barcelona and Madrid, 2 nights in Cordoba, Granada and Seville and a night in Avignon. 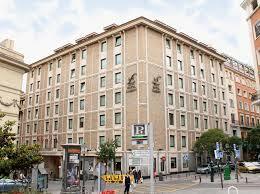 The stylish Gran Hotel Torre Catalunya (4 star) boasts fantastic panoramic views of Barcelona. The hotel offers a number of facilities including the contemporary Bar Eclectik with its minimalist décor, serving food and cocktails. 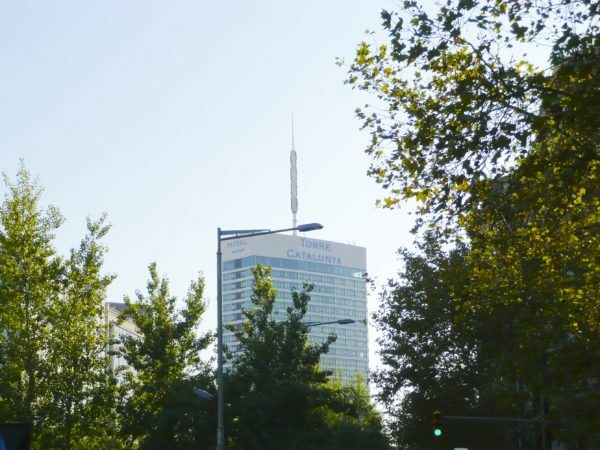 This smart hotel's convenient location next to the Barcelona Sants mainline allows for easy connections to the city centre in around 15 minutes. All 272 modern and spacious rooms at the hotel feature air conditioning, satellite TV, 24-hour room service, a safe and minibar. The charming hotel Las Casas de la Juderia (4 star) is just metres from the Mezquita. It is made up of attractive 17th and 18th century houses with lovely gardens, fountains and patios. 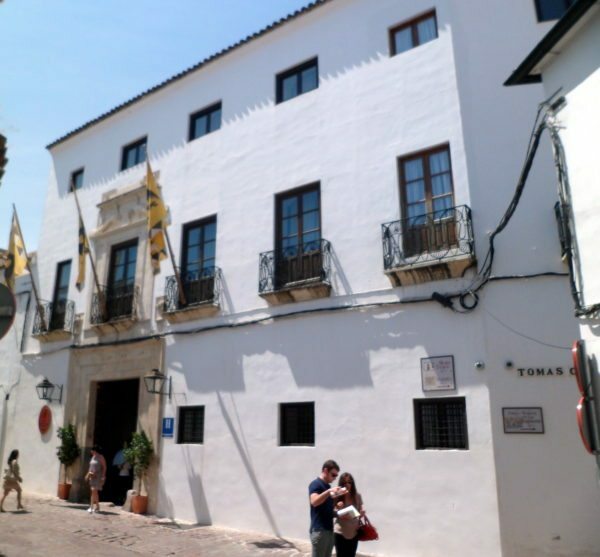 Located in the historic centre of Cordoba, this comfortable hotel combines modern facilities with historic buildings. 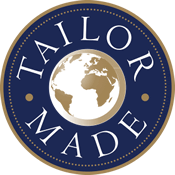 There are many authentic, hand-made details. All of the hotel’s 64 en-suite rooms boast original features and modern comforts, such as air conditioning, television with cable channels and a mini bar. Guests can also take advantage of the complimentary internet connection available in public areas. Whilst staying at this friendly and welcoming hotel you can admire the architecture of El Siglo del Oro, relax at the outdoor swimming pool, unwind with a drink at the in-house bar or on the traditional patio. The hotel also benefits from its own restaurant. The luxurious Suites Gran Via 44 hotel (4 star) is situated in a 19th century building on the historic Gran Vía de Colón, just 100 metres from Granada Cathedral and the Capilla Real. Each of the hotel’s 21 bright and uniquely designed suites is at least 38m2 and features free WiFi, a flat-screen TV, fitted kitchen with microwave, tea/coffee facilities and a shared lounge - where guests can benefit from the free movies on offer. Breakfast can also be served in the suites, where guests can choose from a range of à la carte options. A frequent bus service runs from this street to the Alhambra Palace and the Albaycín neighbourhood. Situated in the historic old town, the Hotel Bécquer (4 star) is less than 5 minutes’ walk from the impressive Cathedral, Alcázar Fortress and the River Guadalquívir. The hotel boasts a terrace overlooking the Giralda (bell tower) and cathedral and offers an outdoor pool, snack bar and tapas bar. Guests can also relax in the Bécquer’s spa, which includes Turkish Baths, a hot tub and sauna. Each of the hotel’s 134 air-conditioned rooms comes with free Wi-Fi, a flat-screen TV, a minibar, a safe and tea/coffee making facilities. Laptops, iPads and DVD players are also available on request and subject to availability. The elegant and distinguished Hotel Liabeny (4 star) is ideally situated in the centre of Madrid, just 200 metres from Puerta del Sol – Madrid’s most famous and central square. The hotel offers modern facilities such as a gym with sauna, a bar and lounge area, and an excellent selection of Mediterranean and International cuisine served in the Restaurante Sensaciones (Sensations Restaurant). The dining room also serves a buffet-style breakfast, where guests can find a large selection of pastries, cold and hot dishes and the famous home-made churros. This well-regarded hotel has 220 large and functional en-suite bedrooms all equipped with air-conditioning and central heating, LCD flat-screen satellite TV, a minibar, safe, free WiFi. Bathrooms feature a vanity mirror, hair-dryer and toiletries. 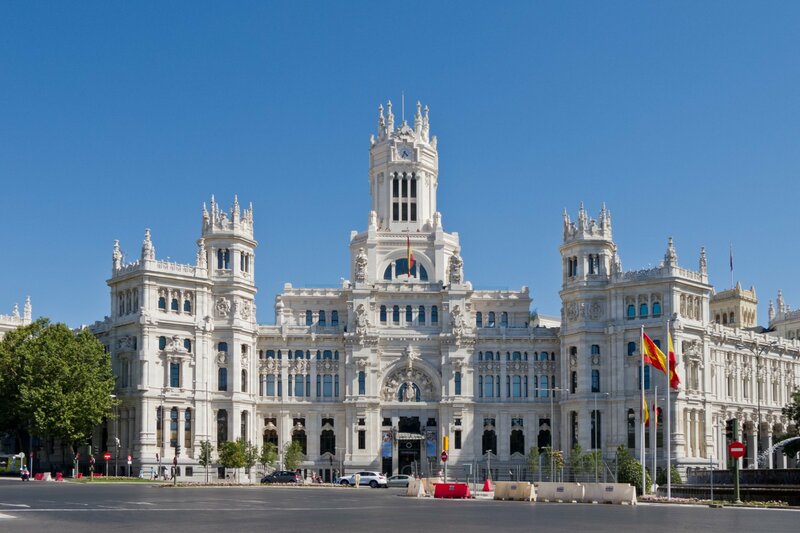 Many of Madrid’s attractions can be found a short walk from the hotel, with the Prado and Thyssen-Bornemisza Museums less than 10 minutes away. Housed in an imposing XIX century building, the Hotel de L’Horloge (4 star) is located in the heart of Avignon. tree-lined Place de l'Horloge (renowned for its restaurants and cafes), this hotel could not be more perfectly located. Rooms may vary in shape and size, but all offer similar standards of décor and comfortable accommodation with minibar and air-conditioning. The ambience and setting of the breakfast room, with its terrace and street view, allow guests to enjoy a relaxing start to the day.